At last, a way to take the commitment to not take plastic bags from the grocer one step further. 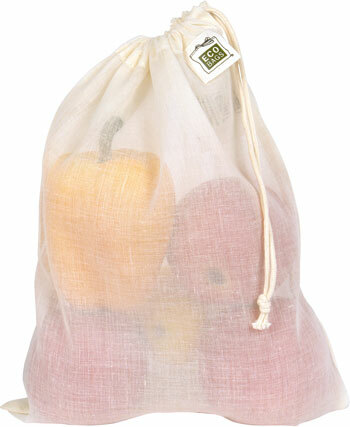 These produce bags are awesome. Three sizes, small, medium and large available. 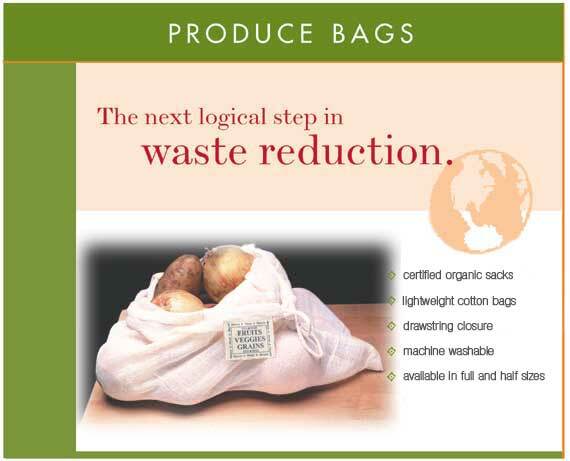 By EcoBags, Certified Organic Cotton and fair wage/fair trade. Large - 12" x 15"
Medium - 10" x 12"
Small - 8" x 8"